FICCI announces registrations are now open for films that wish to participate in the different categories of its 59th edition, to be held March 6 – 11, 2019. For works that wish to register in any of the 10 categories or 4 works in progress (WIP), submissions will be accepted through December 5, 2018. Cartagena, the oldest forum on the continent for Colombian and Ibero-American film reflects upon and celebrates our Mestizo America with its 59th edition, expanding its borders and setting the stage for the creative liberties of filmmakers from around the world who can now submit their films through the www.festhome.com platform. The Cartagena de Indias International Film Festival continues to host one of the most important festivals for films from Ibero-America and throughout the world, highlighting Colombian film and its international exposure. Loyal to the spirit of exchange that so well characterizes the Caribbean region, FICCI serves as a gathering space for industry professionals and their viewers – a live and eager audience, on the search for experiences to transcend beyond their human one. 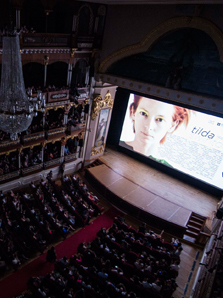 The festival had been attended by directors, actors and producers from throughout the Latin American region and the world. Among others, they include: Alejandro González Iñárritu, Rodrigo García Barcha, Luis Ospina, Pablo Trapero, Carlos Reygadas, hasta Pawel Pawlikowski, Darren Aronofsky, Tilda Swinton, Susan Sarandon, Clive Owen, Vincent Cassel, Isabella Rosellini, Harvey Keitel, Gaspar Noé and Apichatpong Weerasethakul. The FICCI 59 selection committee’s main criteria for films to be included in this year’s categories is their quality, general relevancy and pertinence to the film industry. It will also only consider films that have been produced and/or premiered worldwide between 2018 and 2019. This year’s 10 categories will not be competitive: Migration and a Multicultural World / Fiction Here, Fiction There, Fiction Everywhere / Docu-mind-ary / The People that Make Film and the Films that Make People / Short Wave / Shortizone / Made in Cartagena / Heat Wave / Get Serie-ous/ Omnivore / Infra Red / PuertoLab. As part of the festival’s program, selected films will benefit from networking and media exposure opportunities. For the fifth consecutive year, the call for PuertoLab entries is being held – Work in Progress – an initiative that will help see a developing Ibero-American film to completion through a US $15,000 award for post-production services. A new category, Infra Red, will also be a part of FICCI 59. This category is for projects of Colombian nationality and culture and will provide a total of $28,000 in awards for post-production services. In this year’s edition, FICCI is opening its doors to new forms of audiovisual creations through its category Get Serie-ous, in which the committee will select five Colombian web series to receive a cash prize of $10,000,000 Colombian pesos from Canal RCN, the festival’s main partner. Those interested in registering for the festival can do so through Festhome (www.festhome.com), where the specific requirements for each category and works in progress (WIP) can be found.